The Association of NGOs in Norway (Frivillighet Norge) is an umbrella organization for the voluntary sector in Norway, founded in September 2005. The mission of the Association is to coordinate the voluntary sector’s dialogue with the authorities on issues that are common to the voluntary sector, and to voice the voluntary sector’s opinions to the public and the authorities. Another important task is to produce information and give advice to the member organizations. Some of our current issues are VAT and the voluntary sector, new public register for Norwegian NGOs, more research on the voluntary sector, as well as inclusion of the immigrant population in the voluntary sector. Currently, the Association of NGOs in Norway consists of more than 290 member organizations, including all sectors of society (organizations for children, youth and grown-ups, sports, culture, humanitarian work, religious congregations, music, theatre, etc). The Assiciation of NGOs in Norway is a member of ENNA (The European Network of National Civil Society Associations) and CIVICUS (World Alliance for Citizen Participation). Morten Johansen is political advisor at the Association of NGOs in Norway. He works with issues related to the state budget, research on the voluntary sector, VAT, tax exemptions and similar issues. Stian Slotterøy Johnsen is Secretary General of the Association of NGOs in Norway (Frivillighet Norge), an umbrella for the voluntary sector in Norway. Frivillighet Norge aims to create a larger space for civil society in Norway. It consists of more than 300 member organizations, representing in total more than 50 000 local branches all over Norway. Stian Slotterøy Johnsen holds a Master of Arts from the University of Oslo. 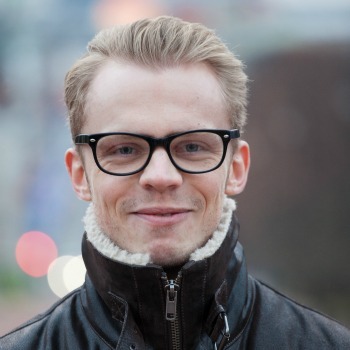 He has worked in the Norwegian voluntary sector since 2001, when he became web content editor at the Norwegian youth council (LNU). 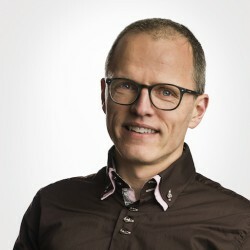 He was employed by the Association of NGOs in Norway in 2006, and has worked with a wide range of topics, including research on volunteering in Norway, VAT compensation for voluntary organizations and encouraging local authorities to establish policies that promote growth and development among local voluntary organizations.